【NEWEST IN INNOVATION & DESIGN】Flyhoom Solar Power Light Bulbs with built-in 3pcs inner solar panels, 16pcs high lumens LED beads and a 1200mAh lithium battery. 【EASIER PORTABILITY & HANGING】2 types of hooked lids that allows placement in any environment and make for easier portability and hanging. 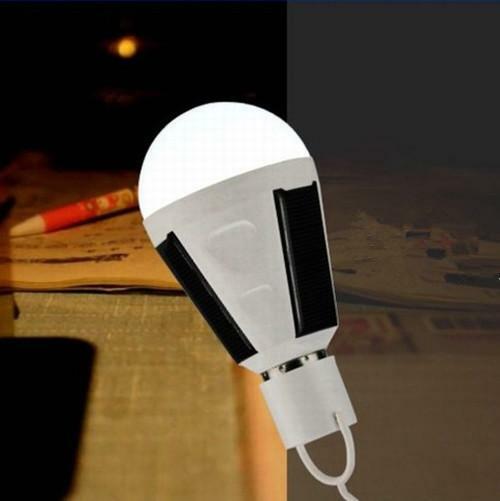 【INDOOR & OUTDOOR USAGE】Rechargeable, energy saving 80%, carry with ease, waterproof IP44. Ideal for home, reading, camping,outdoor trips, emergency events. 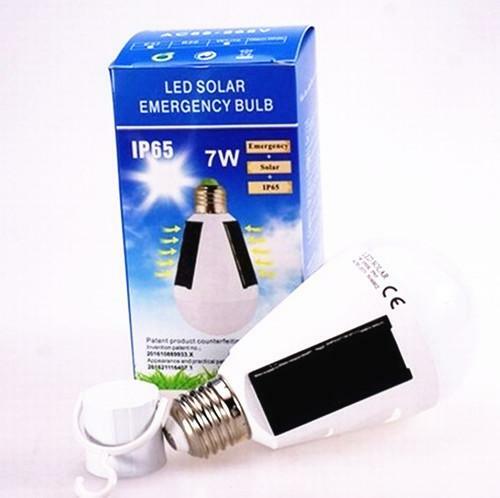 【LED EMERGENCY LAMP】The Solar Power Light Bulbs are regular size and switches on automatically as long as room light switch is set to ON after power outage, You will never be without light due to a blackout ever. 【CHARGING & USING TIME】Charging 9hrs in sunlight will give you ≥2hrs of lighting, charging 5-6hrs by home electricity will give you ≥5hrs of lighting. 12 MONTHS WARRANTY included by Flyhoom.